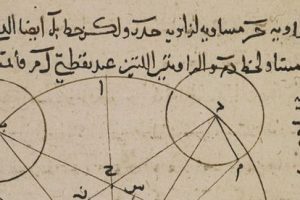 The Guardian recently featured an article including examples of important manuscripts illustrating how, from the ninth to the nineteenth centuries, scholars and scribes used Arabic as a lingua franca to debate and develop scientific ideas. Arabic-speaking scholars translated classical Greek, Persian and even Sanskrit texts on topics such as medicine, mathematics and astronomy. These scholars went far beyond translation and preservation and fostered a unique and vibrant scientific culture within the Arabic-speaking world. The manuscripts featured are from the British Library Qatar Foundation Partnership’s new online portal – the Qatar Digital Library. The archive provides free online access to 25,000 pages of fascinating medieval Arabic manuscripts. The Qatar Digital Library is available at: http://www.qdl.qa/en.